BitDefender Internet Security 2009 ensures the superior proactive protection from Viruses, Spyware, Hackers, and other e-Threats. BitDefender provides security solutions to satisfy the protection requirements of today’s computing environment, delivering effective threat management to home and corporate users. BitDefender Internet Security 2009 features antivirus, firewall, antispyware, privacy control and parental control for corporate and home users. The software provides comprehensive proactive protection from viruses, hackers, spyware, spam and phishing emails, and it also protects children from inappropriate websites. BitDefender Internet Security keeps your Internet-connected family safe, without slowing down their PCs. It locks out viruses, hackers and spam, while providing parental control and firewall protection. 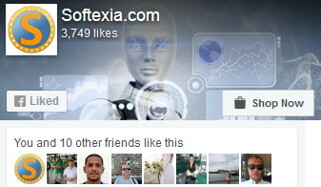 Confidently download, share and open files from friends and even total strangers!